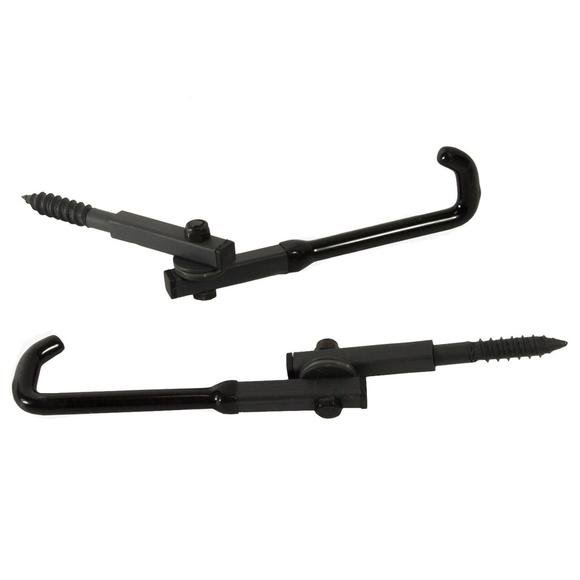 Realtree's Mini EZ Hangers keep your valuable tools within arm's reach. Keeps movement to a minimum. Allows your hands to be free for calling. Fits into your backpack or gun case. Hang hunting gear while in your tree stand or around the camp such as backpacks, binoculars, rattling antlers, lanterns, hat/gloves/jackets, etc..
Realtree &apos;s Mini EZ Hangers keep your valuable tools within arm&apos;s reach. Keeps movement to a minimum. Allows your hands to be free for calling. Fits into your backpack or gun case. Hang hunting gear while in your tree stand or around the camp such as backpacks, binoculars, rattling antlers, lanterns, hat/gloves/jackets, etc..